Anne Koons and Daren Sautter were honored for their work during the month of October. 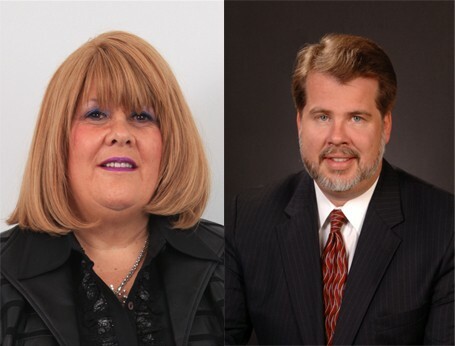 Two sales associates from Berkshire Hathaway HomeServices Fox & Roach REALTORS Cherry Hill office has been named office leader for October, 2016. Berkshire Hathaway recognized Anne Koons for units and volume. Licensed since 1985, Koons is recipient of the Top of the Rock, Chairman’s Circle and NJAR Circle of Excellence Awards. She is a 34-year resident of Voorhees. Daren Sautter was recognized for listings. Licensed since 1988, Sautter is a recipient of the Top of the Rock, Chairman’s Circle Gold, President’s Circle, Legend and NJAR Circle of Excellence Awards, He is a 29-year resident of Cherry Hill.